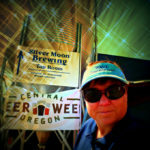 If you know the answer to the following question, you know your craft microbrews! Which city has been dubbed Beer Town USA? Well, that would be Bend, Oregon. 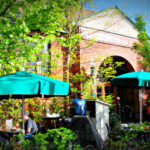 This scenic and friendly town in Central Oregon, with a population of approximately 82,000, has 1 brewery per 4,500 people – which also makes Bend the city in Oregon with the most breweries per capita. Now that’s impressive! 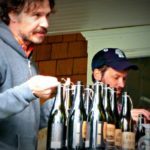 With all those wonderful craft beers available to sample throughout Bend, The Bend Ale Trail Passport (it’s free) was created to encourage visitors (and locals) to make the rounds of the participating 14 breweries, get stamps from each of them (no purchase required – you don’t even need to drink beer) and then make a stop at Visit Bend (Bend Visitor Center) to collect a prize – a commemorative Silipint. 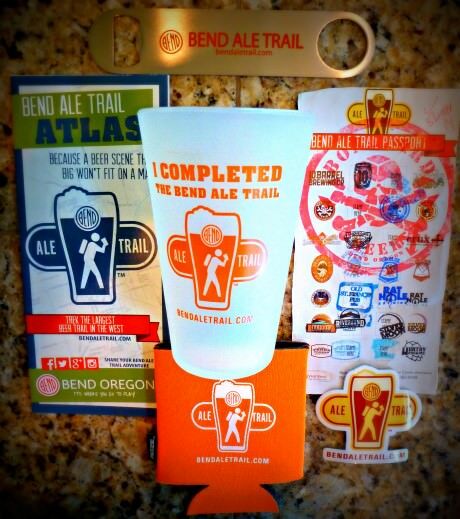 After getting all 14 stamps in our Bend Ale Trail Passport, we went to see the nice folks at Visit Bend and claimed our “I Completed The Bend Ale Trail” Silipint and a Bend Ale Trail bottle opener (you just get the silipint if you visit 10-13 breweries). 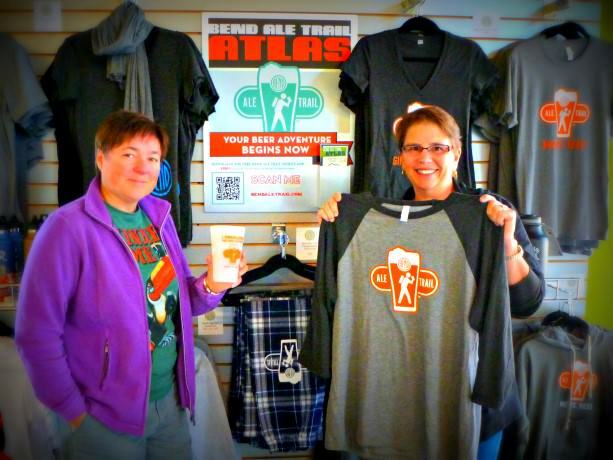 Because we did this during COBW they threw in some more swag (a koozie and sticker). 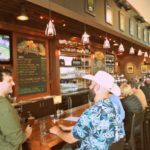 The Bend Ale Trail is definitely a terrific and fun way to visit Bend’s many breweries and an activity we would encourage visitors and locals to participate in.